Are you thinking of having a day dedicated to cleaning your mattresses? Why waste an entire day and so much energy when you can have someone do it for you? You can call our company now and hire us for help with your mattress cleaning. Choose us because it is our speciality. Unlike many other cleaning services providers from Wandsworth SW18, we understand how important it is to maintain your mattresses clean. Hire us because the best cleaners in town work for us and are guaranteed to leave you with more than satisfactory results. We promise efficiency and high professionalism. We are an insured cleaning services company and we can guarantee you that you will be very pleased with our results. Our cleaners are the best experts in the field of mattress cleaning and we have equipped them with everything necessary for a proper one. They use the latest technology for steam cleaning and efficient cleaning products. And they know how to properly clean your mattresses. We have proven ourselves to hundreds of people already and we will gladly prove ourselves to you as well. 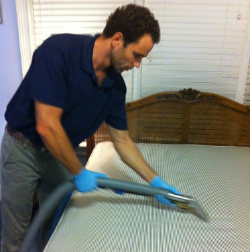 Give us a call now and we will deliver what is promised – an impeccable mattress cleaning service. Our cleaners will clean, deodorise and sanitise your mattresses, and you will be able to enjoy a healthy sleep and be sure that your mattresses are sanitary and will not cause you and your family health problems. Give us a call as soon as possible and hire us because we are the best cleaning services provider for SW18 Wandsworth and the area. We guarantee 100% efficient results. Plus our prices are unbelievably affordable. Call us now.